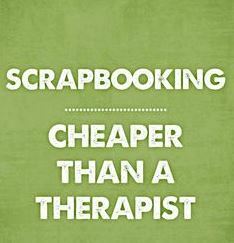 Do you have one of the friends that just really get scrapbooking? I really hope so because everyone who loves scrapbooking should. Those types of friends help us to feel validated and less crazy with our obsession. Having someone that shares in your scrapbooking passion is great for companionship but also when it is time for birthday or Christmas shopping. I mean, who is more fun to shop for than someone who only wants scrapbooking goodies?! 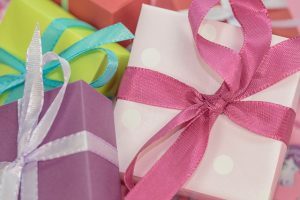 I have put together a go-to list of the top gifts for scrap bookers. This is good to reference just in case you decided to use the gift you just bought instead of actually giving it (come one now, am I the ONLY one who has done that? Those fancy cutting machines – Yeah you know the ones, I believe the formal term is die cutting machines. Basically, they take all the hassle out of tracing by hand or cutting little annoying patterns out. Talk about a great way to streamline your friend’s scrapbooking production! Paper and goodies – a true scrapbooking connoisseur would love to be the recipients of some fancy cardstock and paper to aid in their efforts. These items are great creating backsplashes and character cutouts for their next scrapbooking project. Help them stay organized – of all the people who need to stay organized it is scrapbooking folks! All the little trinkets and papers can easily become a mess and that is why very smart people have created scrapbooking organization methods in the form of bags and organizers. These make excellent gifts for scrapbooking friends. 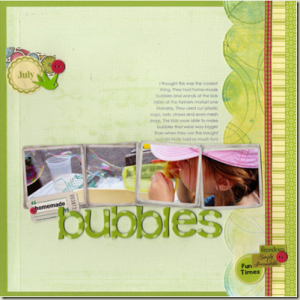 Albums – a scrapbooker can never have too many albums and they are relatively cheap to buy. Just head on over to your local craft store and you will see the isles of scrapbook albums to ready to pluck off the shelves. It’s the little things that matter – in scrapbooking the little embellishment items and accessories are our pride and joy! So, go ahead and fill up a basket with paper butterflies and buttons galore and your friend is sure to love it! Craft stores make it really easy to shop for hobbyists like us. Just go there with a $500 budget (ok, maybe not that much!) and have fun! 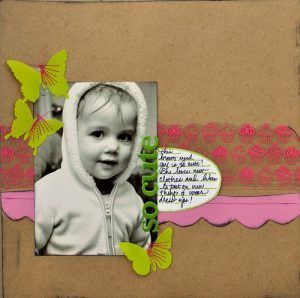 There is really nothing a scrapbooker could not turn into a beautiful work of art! Alright, folks, it’s about to get real up in here! If you didn’t catch my last post, check it out here. Time for scrapbooking 101, where I teach you the basics of scrapbooking and (of course!) you fall in love with it just like I did. Well, hopefully, you do, that is my aim! First things first are you need to start off with a vision, the desired outcome. Are you creating a scrapbook for a child or do you want to preserve your family vacation photos? The idea of your scrapbook project is essential to helping you start the process and getting organized. Collect (or develop!) the photos that you want to compile into your scrapbook. As you are looking through them, keep a journal and write down any creative ideas that come to mind. The second step is to choose a scrapbook album. Go to your local hobby lobby (click here: http://www.hobbylobby.com/ to find a location near you) and pick on that matches your theme. While you are at your hobby store, find a paper trimmer and some tape. Your local hobby store probably has several aisles dedicated to scrapbooking so your options should be plentiful. Also, pick up any inserts you would like to add to you scrapbook. This is the stuff that makes your album come to life and be full of color and design. Once you have all your goodies purchased and you are ready to start your scrapbook. Take your photos and start laying them out and playing with the layout and design until you get the page just perfect. You then take tape and place on the backs of each moving piece of your page layout so that they stay in place. Us girls need to stick together and for me having something like scrapbooking to occupy my dow ntime is like a breath of fresh air! Don’t get me wrong, I work hard…..very hard! With 2 kids under the age of 10 years old, a full-time job and a house to run to say I have my hands full is an understatement. Oh did I also mention I am single! Yes, I am currently accepting applications to fill the open role of husband/father, hint hint. However, I highly doubt a man would be reading this and hit me up for a date! Sigh…….a girl can have romantic hopes can’t she? I digress, back to what is really important. SCRAPBOOKING! I love it and chances are you do too and that is why you are reading my blog. So, what is a girl to do when she has so much on her plate and a strong desire to cut out cute flowery butterflies and zig-zag paper edges? I stay up late, that is what I do. Oh and every other weekend when the kids are with their dad……it is on like Donkey Kong (learned that saying from my 10-year old)!!! A really pretty lace embroidered Donkey Kong! Ha! With this blog, I want to share with you everything I know about scrapbooking! Please stay tuned for a fun filled and creative learning experience! Posted in Default | Comments Off on What’s a Girl to Do?